Toronto Real Estate Blog - GTA News : Live in Style in Highly Sought After Bloor West Village! 2 Bedroom Condo for Sale in Luxurious Building- Top Amenities! 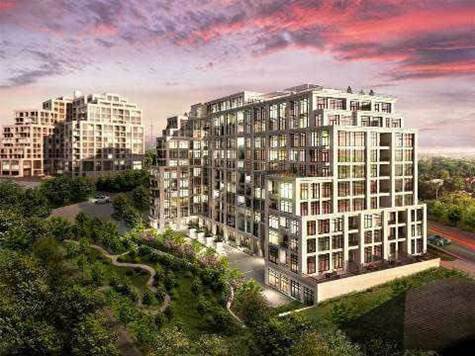 Bloor/South Kingsway, Toronto - Luxurious Upscale Two Old Mill Rd - The DREAM Address in the Bloor West Village. A Convenient Lifestyle In The Best Location. Beautiful Suite With an Open Concept Layout With Hardwood Floors and a Walkout To The Balcony. Great Sized Kitchen With a Breakfast Bar. Great Sized Bedrooms, Mater Suite With 3 Piece Ensuite, a Walk In Closet and Overlooks The Park. Second Bedroom With a Large Closet and Overlooks The Park. Great Amenities: Roof Top Garden With Bbq's, Theater, Indoor Salt Water Pool, Party And Dining Rooms, 2-Guest Suites, Gym, Concierge. North View On Old Mill Park And Humber River. One of The Most Sought After Locations in Toronto! Walking Distance To Bloor West Village Shops, Restaurants, Park, Jane Subway Station. Convenient Easy Access To Highways Ideal For Commuters and Drivers! Extras: Stainless Steel Appliances, 9 Foot Ceiling, Granite Counter, Centralized Water Filtration Systems. Looking to Buy a Condo in Toronto?